Improve Your Sales and Marketing Follow-Up Efforts With Postwire | Brand On! Postwire allows you to create personalized, private “resource” web pages. For example, Postwire is perfect for sharing specific sales materials with a prospect; welcome documents and training videos for a new customer; or support information for customers. Instead of having a trail of unconnected emails, you can keep everything in one place as you communicate with your contacts.With a Postwire account, you can share many types of files including Word documents, images, web links, videos and PDFs. 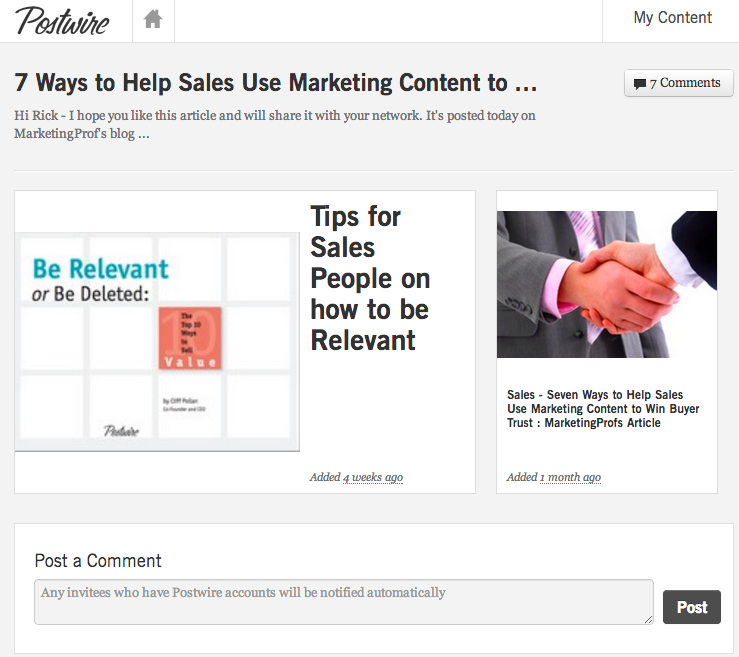 Collections in Postwire are where you organize and manage your content. You can add content to your collections through the Postwire website, via an iPhone app, an Outlook plugin or a browser bookmarklet. 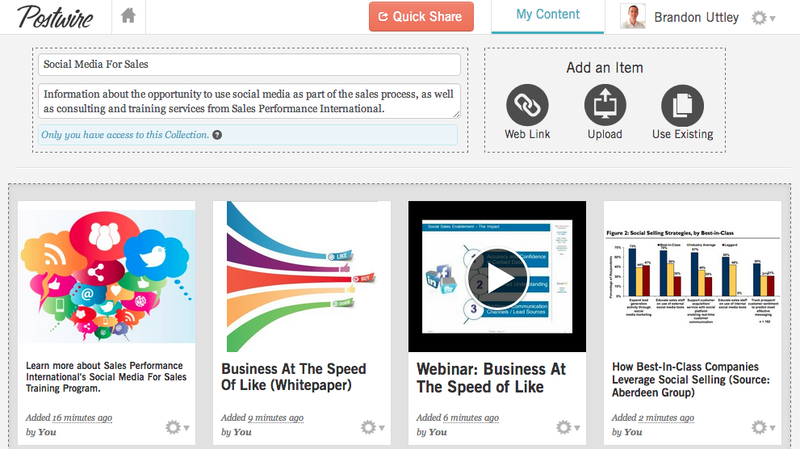 You then create a Page to share content with an individual or group. Everything you shared with someone is tracked, and you will get an email notification when a recipient opens and views what you’ve shared. In addition, if you use a marketing automation or analytics system, you can automatically add a tracking code to every page you share. Every page viewed on your Postwire pages will then be tracked just like your website pages.